it shouldn’t come as a surprise that applescal is the next in line for a release on dgtl records, seeing as he has been part of the crew since day one, with multiple appearances at their shows to his name. the atomnation label-head crafts out three tracks all coming from one single studio jam, aptly naming them harmony one, harmony two and harmony three. the record is a special one for applescal himself as well, as it’s his first full ep in two years. gidge is a production duo consisting of jonatan nilsson and ludvig stolterman. based in the northern parts of sweden, gidge quickly built a solid fan base with releases of their albums autumn bells, lnlnn and lulin. the music of gidge seems to affect their audience in an emotional way, which eventually resulted in the duo taking the top spot as best new artist at xlr8rs readers poll, as well as having the 3lps ending up on numerous end of year lists. their main source of inspiration is the vast, snow-covered woodlands of the north. gidge have for instance recorded all of their percussions in the forest, using only the sticks and rocks that can be found there. for seoul though came about after the duo went on a trip through asia, and spent a number of days in the south korean capital. they fell in love with seoul, and later on created this two-part hymn for the giant city. 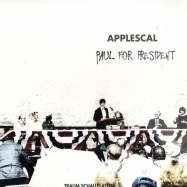 applescal created a remix for the track, which you can listen on the b side. 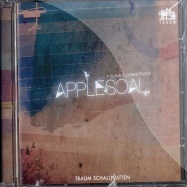 der mitgründer des labels atomnation, pascal terstappen, präsentiert mit -for- den bereits vierten longplayer seines projekts applescal - und erfindet dessen sound gleich mal neu. 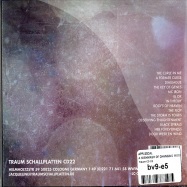 hörte man sich terstappens output aus den vergangenen jahren an, so lernte man seine sorgfältig gebauten tracks und remixes schätzen, in denen verspielte percussion-strukturen und außerweltliche melodien in kompositionen mit einfließen, die sich irgendwo zwischen sofa und dancefloor bewegen. 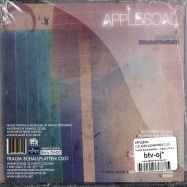 applescals voriges album -dreaming in key- bekam großes presselob und wurde von djs wie gilles peterson, laurent garnier und daniel avery gespielt. -for- klingt ähnlich unbekümmert, dennoch wagt sich der niederländer hier in tiefere gefilde. 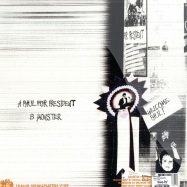 tracks wie -like you do-, -matter- und -overseas- tragen dieselbe handschrift träumerischer synthesizers und prickelnder grooves, ansonsten klingt die soundpalette reifer und selbstbewusster. 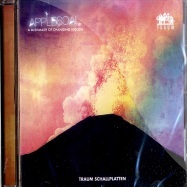 applescal the legendary traum schallplatten artist debuts on tarvisium electronique with the critcs, an analogic dancefloor killer, fusion of electronica techno and acid, accompanied by two airy and dreamy tracks, life of chen and ghost season. to complete the vinyl, label boss steve lorenz has created a futuristic detroit techno remix fusing the sounds of his mythical yamaha dx 7, dx 21 and casio cz 5000.
this album is the first one we have released after just one 12inch on traum by the artist applescal. with much inspiration and input of coldplay and portishead the album becomes colourful and happy-sad, well... the holy aphex twin comes alive in this one.